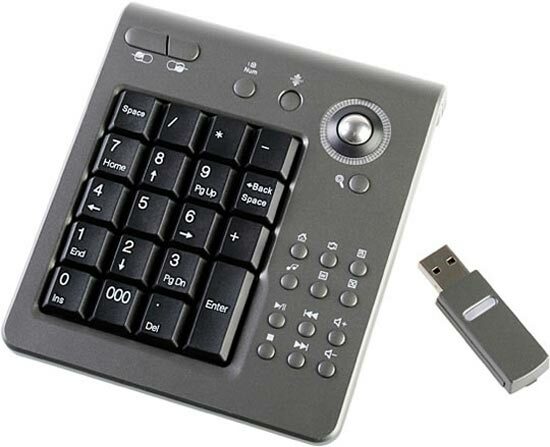 Here’s another useful USB gadget, the USB Wireless Trackball Keypad. 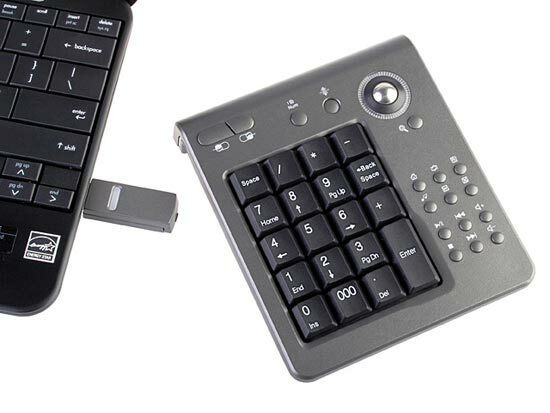 The USB Wireless Trackball Keypad feature 19 keys and 13 hot keys, it has a built in 1000DPI trackball and a range of up to 10 metres. It measures 114 x 134 x 25 mm and weighs just 143g, here’s the full specs. www, Email, Media, Power Point, Word, Excel *The Word, Excel and Power Point only work with old office. The USB Wireless Trackball Keypad is available for $37 from Brando.